The Henningsens crash on the scene with a great new song. You know I’m a huge fan of catchy country songs. That’s exactly what you have with this new country song. The band is The Henningsens. I’ve never heard of them before, but from the sound of this song it seems like they could turn into something special. There is a little traditional sound in there, but plenty of modern as well. 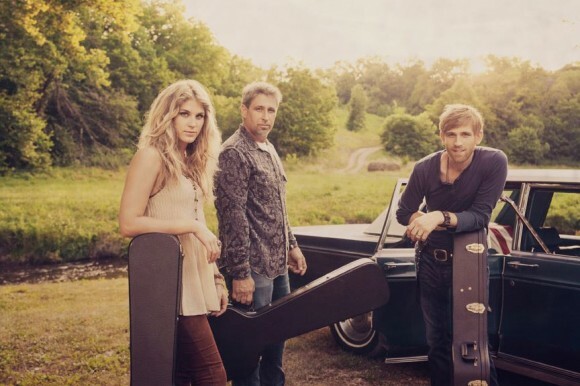 It’s like a cross between Lady Antebellum and Gloriana. Check it out. This is a really great song. I feel it’s a great way to enter the charts for the first time as a new band. The song has a really catchy melody. When you listen to it the first time you just get a great feeling as you nod your head back and forth and listen to the story of young folks growing up in America. I’m not sure there is a better place in the world to grow up and I feel that’s the point of the song. It’s got a great hook with a positive outlook on life and love. You just can’t help but smile when you listen to it a few times. And it’s that kind of song – one that makes you want to hit the replay button over and over again throughout the afternoon. I’m thinking the song will crack the top 20 on the new Billboard Country Chart. I can see young people downloading this one like crazy on iTunes. Will this song be on your playlist today?